Featuring more than just beer – check out these great headliners set to rock TFOB! It’s back! 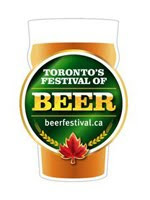 Toronto’s Festival of Beer is celebrating its 18th Anniversary and doing it better than ever. This three-day event, celebrating everything great about beer, will see thousands of eager patrons descend upon Bandshell Park at Exhibition Place to celebrate the malty beverage.